Turmeric & Besan for Hair Removal? There are many options available to you if you need to remove unwanted hair from your face or body. Shaving is the most popular because it's cheap and quick. Unfortunately, this method of hair removal does not last more than a few days. Chemical depilatories, waxing, laser hair removal and electrolysis offer longer lasting results, but can be either messy or expensive to do. 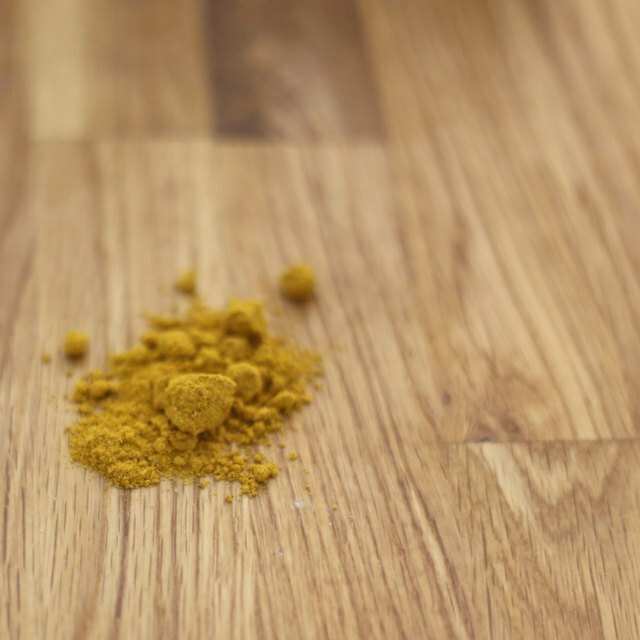 You may have used ground turmeric in curry recipes, or maybe you have just seen it on the spice shelf at the grocery store. In India, they use turmeric in cooking and as a medicine for a variety of ills. One of its most common uses is as a gentle hair remover. Some babies in India are born with dark hair on their bodies, and some Indian women have dark hair on their arms or upper lip that they want to be rid of. They use this remedy to remove and to inhibit this hair growth because it is gentle and can even improve skin tone. Cooking turmeric can tint your skin yellow when used frequently, so you may want to look for facial quality Kasturi manjal or Gopuram turmeric powder at a market that sells Indian products or online. The word besan may not be familiar to you. Besan is a type of flour made from garbanzo beans, and is sometimes referred to as gram flour (not to be confused with graham flour). You can find it at a store that sells Indian and Asian foods, or your local natural foods store may carry it or order it for you. Besan has many uses besides hair removal. It has fewer carbohydrates and more protein than whole wheat flour, so you may want to also use it in some of your baking. To remove hair with turmeric and besan, mix equal parts of the turmeric, besan, and aloe vera gel with just enough milk or yogurt to make a paste. Rub this mixture on your lip, underarms, or wherever you want to remove hair. Rub against the growth of your hair and let it dry. Scrape the paste off in the direction of growth. You will need to repeat this process three times a week for at least two months for full effect. Your hair will grow back lighter and finer, and it will eventually take longer to grow in.